Solitude, tranquility and romance. 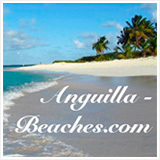 Anguilla delivers all three with its beaches, its luxurious hotels and of course, its restaurants. 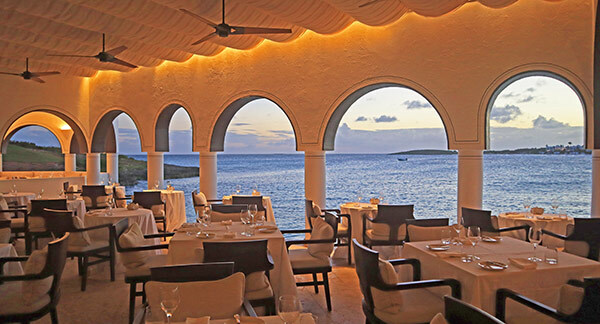 On an island known for its atmospheric fine-dining, "What is the most romantic Anguilla restaurant?" is a difficult question to answer. 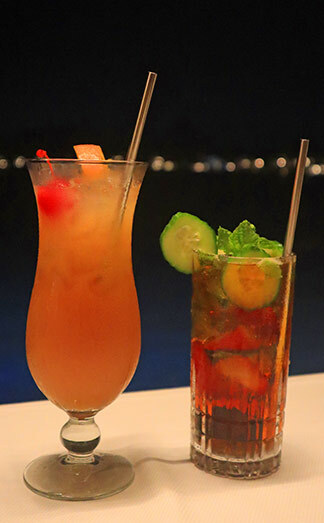 Any list, however, would be incomplete without Belmond Cap Juluca's Pimms. 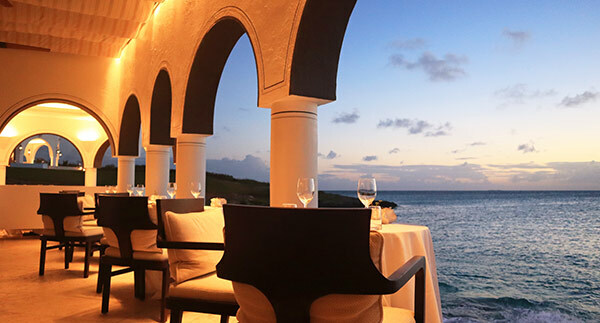 Pimms is Belmond Cap Juluca's fine-dining dinner restaurant. 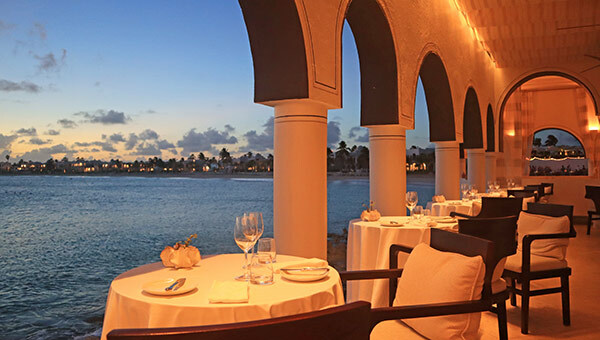 Though part of one of the Caribbean's most coveted hotels, Pimms has a reputation all its own. 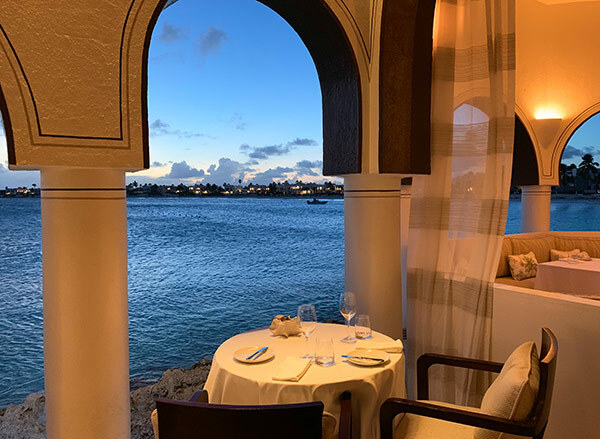 Its intimate seaside setting and National Culinary Team executive chef make it a "must" for couples seeking a romantic setting. 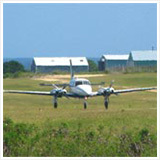 Pimms sits on an exclusive peninsula that extends from the resort's beach, Maunday's Bay. 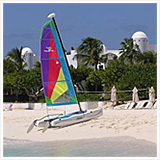 Protruding into the Caribbean Sea, it boasts a vivid view of some of Anguilla's clearest, most turquoise waters. 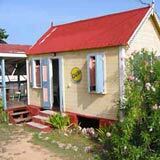 Situated on the west side of the island, the restaurant is also sheltered from Anguilla's easterly tradewinds. 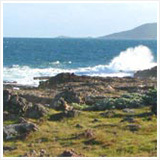 The only sound you hear is the lapping of the waves as they break along the rocky shoreline. 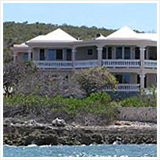 Inside, Moorish white arches elegantly contrast against the blue Caribbean Sea. Cream seat cushions sit atop posh, dark wood seats. White table cloths drape over the tables, further accentuating the restaurant's sophisticated feel. Larger dining tables make up the middle of the restaurant, with private dining rooms set behind, overlooking the main room. Tables for two line the restaurant's edge. "Dining for two" at Pimms means dining just a foot from blue. 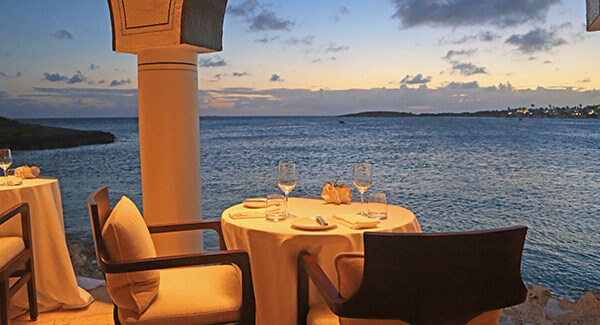 TIP: At certain times of the year, when seas are rough, that blue comes right into the restaurant. 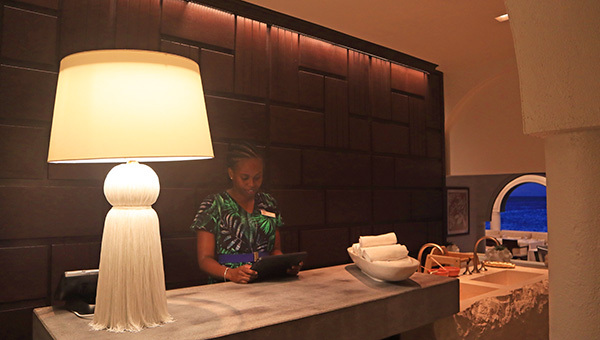 Be sure to make a reservation in advance and check with Pimms' concierge about weather conditions. 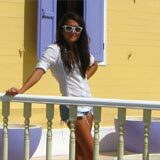 Request the table closest to the sea, even if your table needs to be relocated due to waves, if you are seeking romance. 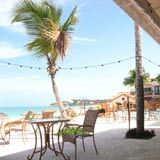 Pimms answers the call for intimate oceanfront dining. 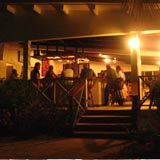 Pimms' Chef Dean Samuels is a famous name in Anguilla. He is one of Anguilla's chefs whose team has repeatedly won gold at the prestigious culinary competition in Miami, Taste of the Caribbean. 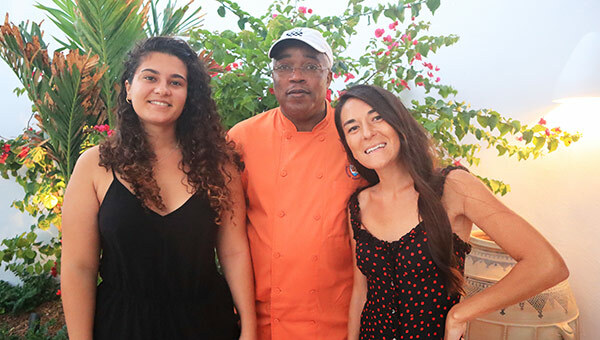 A kind, gentle man with a calm affect and a humble personality, he won't be the first to tell you that he is one of Anguilla's top chefs. 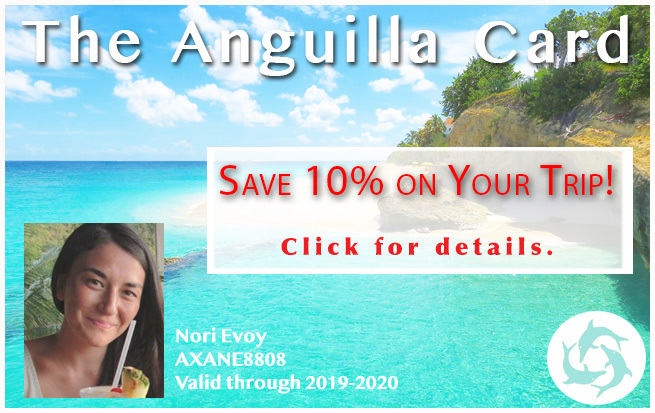 And he likely won't reveal that, in recent years, he has continued to passionately lead Anguilla's National Culinary Team as "team manager" to win many more awards. Chef Dean doesn't need to boast. His cuisine says it all. Chef's creations can be found right here at Pimms, which has been his home for many years. After chatting with Chef Dean, our appetites were whetted. Evenings at Pimms begin with the Pimms Ritual. 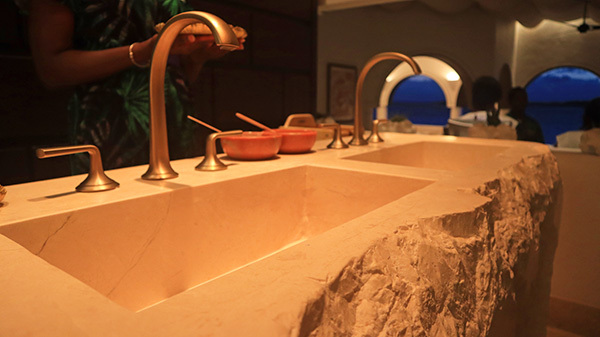 Tucked at the front entrance rests Pimms' impressive limestone sink. 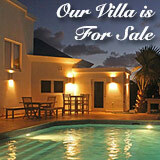 Made of Anguilla stone, it is eye-catching. Here, your kind hostess leads you on a cleansing ritual. 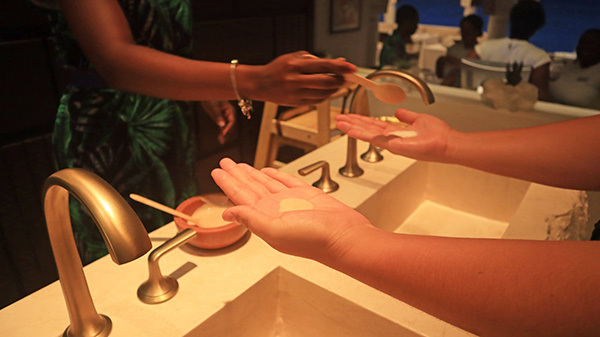 Coconut milk in one hand, sea salt in the other hand and then you lather and rinse. With now buttery-smooth soft hands, we were ready to dine. Come nightfall, Pimms' atmosphere is in full "breathtaking" effect. Something out of a swaying palm tree dream, my Mom always comments on how the setting brings back fond memories of a restaurant she and my Dad would dine at in Fiji, right on the water's edge. "... but it was not this luxurious," my Mom always laughs. There is a certain finesse to Pimms. Perhaps it is the delicate plants that adorn each table. Or perhaps it is the pressed table linens. Or the strong, white pillars that line the restaurant's edge. Or the lights dancing upon the sea and in the distance, along the beach. Pimms exudes a most magical upscale feel. Our attentive waitress brought us our drinks, a rum punch and Pimms' signature drink, the Pimms Cup. A mix of ginger ale, Pimms rum and cucumber, the Pimms Cup is a refreshing start to dinner. 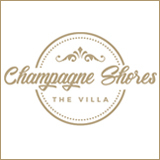 NOTE: Pimms has won the Wine Specter award on several occasions and boasts a cellar with over 3,000 bottles. If you and your significant other are wine aficionados, Pimms will delight. The tables by the water have an almost cavernous effect. With the domed arches overhead, the sound of the waves amplify against the walls around you. 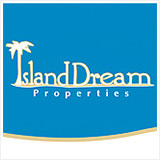 You are completely surrounded by the soothing sounds of the sea. 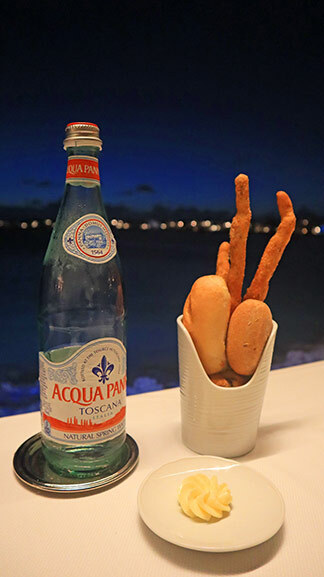 An assortment of fresh-baked rolls and breadsticks are brought to your table as you peruse the menu. These are not your average breadsticks. Johnny cake-like in flavor and texture, they are hand-rolled Johnny cake breadsticks! Breadsticks so good, we polished these off in record time and ordered one more basket. Then? On to the menu. 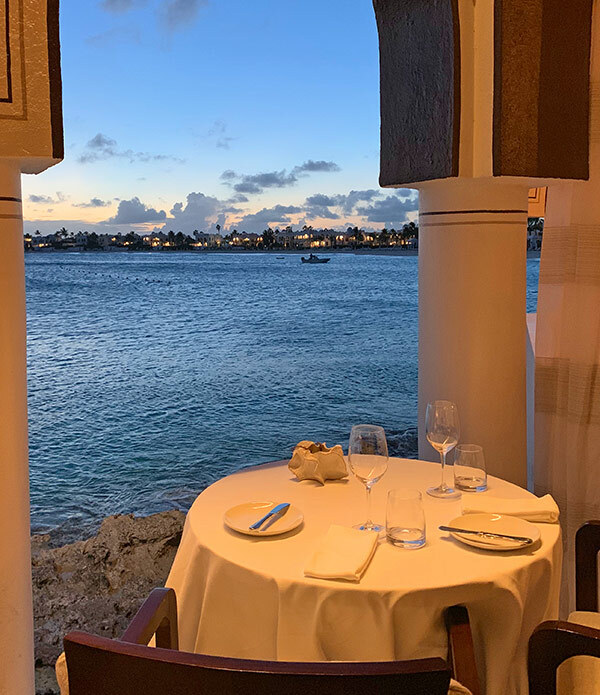 The menu features contemporary creations such as squid with toasted walnuts and ribeye with blue cheese rice, as well as classic Pimms dishes, like the Heirloom beet salad and spice-rubbed line-caught tuna. We placed our orders and took in the peaceful ambiance. In good time, our appetizers arrived. First? A Pimms favorite, the salmon appetizer. Poached salmon is served atop a bed of fennel. 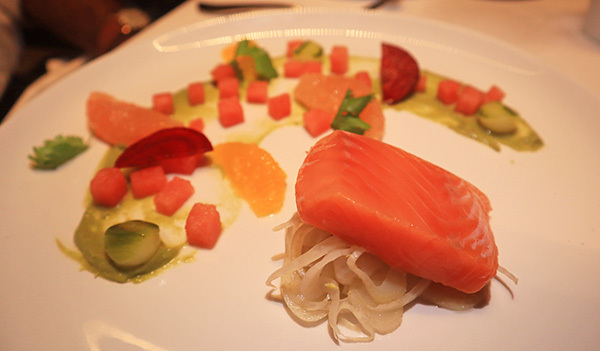 The plate is artfully adorned with a streak of avocado mousse topped with cucumber, orange and grapefruit. Melt-in-your-mouth salmon, this is a "gold plate" worthy dish. Chef Dean, your salmon is outstanding! 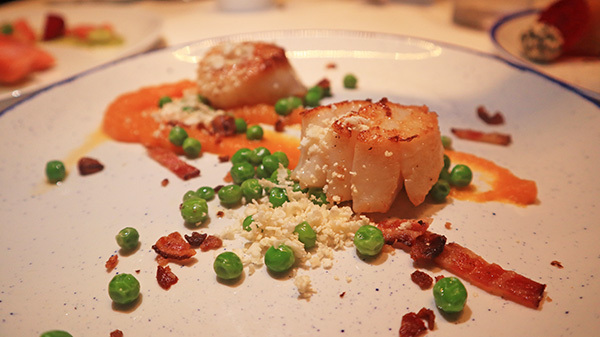 A contemporary dish, bacon is the seared scallops' perfect complement! Pumpkin purée, cauliflower and peas round out the flavors. The peas pair especially well with the bacon and scallops. 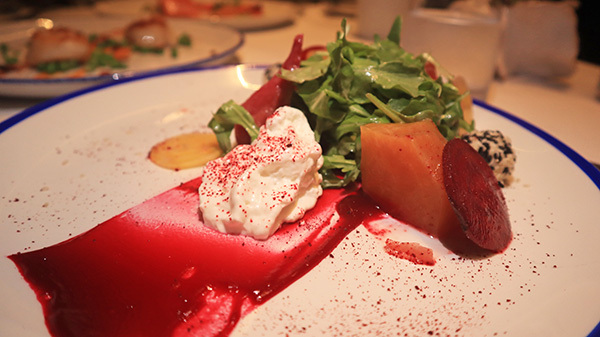 Lastly, another Pimms classic, the Heirloom beet salad. For each slice of roasted beet, take a bite of creamy goat cheese. There is no better match! A light dish, the flavors are spot-on. Playful sesame seed-coated balls of goat cheese accompany this salad. 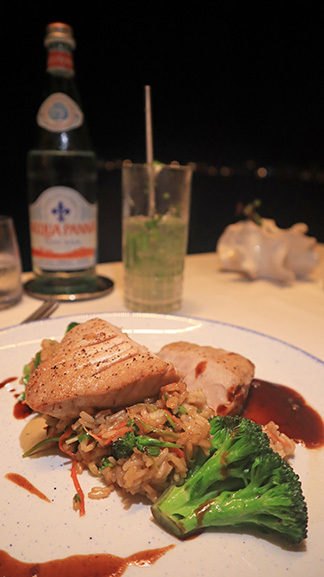 9 Spice-Rubbed Line-Caught Tuna & "Dirty Rice"
This is perhaps the most famous dish on the menu, a Chef Dean classic. A sizable tuna steak is rubbed with 9 spice and served with "dirty rice." Brown rice doused in a creamy soy sauce, it is served with a side of wok vegetables. If you like Asian flavors, Chef's tuna is quite the catch! Lobster is simply grilled and served with basmati rice and a vegetable mix. The extra-special topping? Warm basil butter. 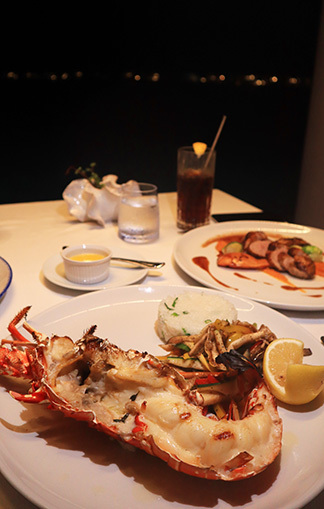 Drizzle it over your lobster for the full luscious, Anguilla lobster effect. Finally, Chef's duck breast with foie gras. 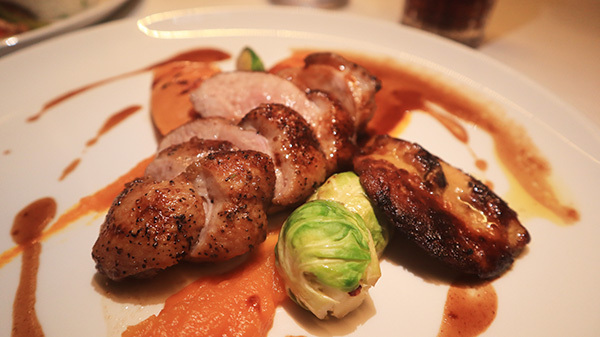 A decadent dish, roasted duck breast is served with a slice of foie gras on a bed of pumpkin cream. With a gentle sauce made of quince, the natural flavors of duck and foie gras shine. "Dessert?" Our accommodating waitress asked as we leaned back from our dinner plates. 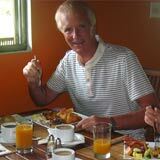 It seemed like an impossible task following such rich dishes. However, the chocolate dessert said otherwise. 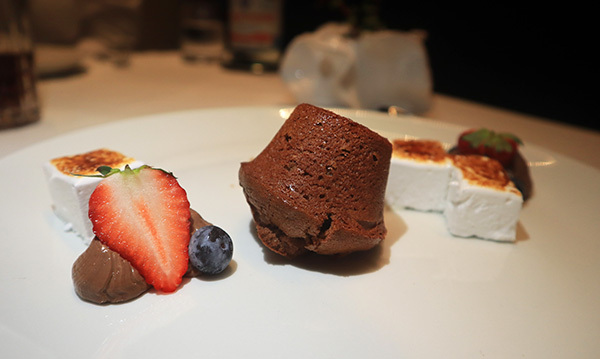 A semi-sweet chocolate muffin is served warm with a scoop of Pyrat rum raisin ice cream and browned marshmallow. The divine end to a memorable evening. 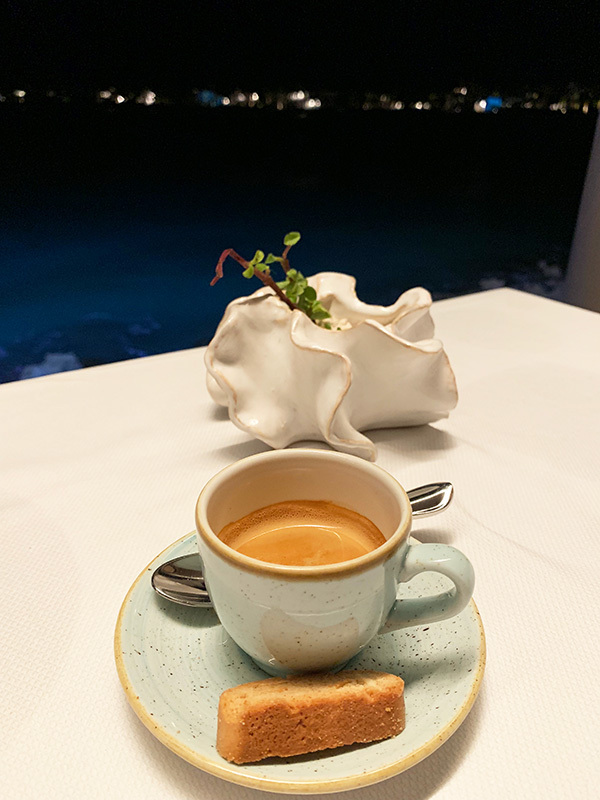 We sat in a state of sweet repose, sipping espresso and soaking up the atmosphere. The extra-special cherry on top? The spotted eagle ray dancing just feet from our table in the illuminated water below. No where else can you see that! Evenings at Pimms are magical.